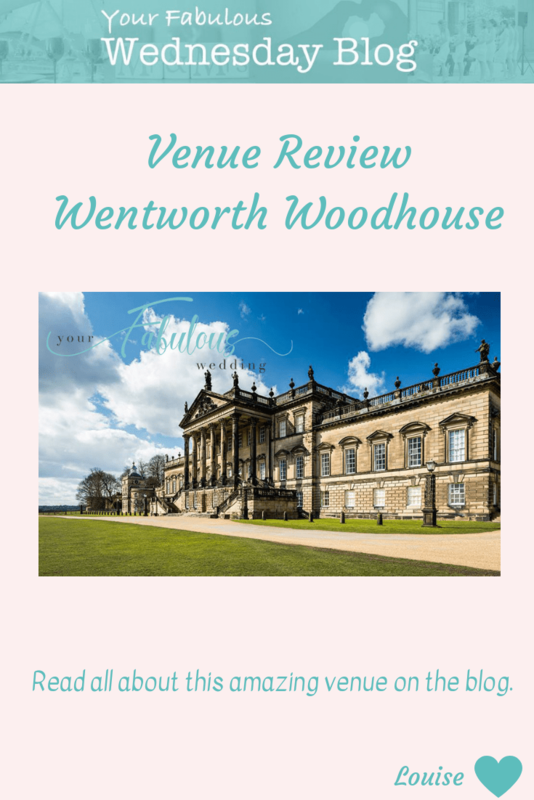 Last week I went to have a look around at Wentworth Woodhouse. I really don’t know why it’s taken me so long to go here. It’s less than 20 minutes from my home and I genuinely think it’s one of the best venues in South Yorkshire, if not the best. 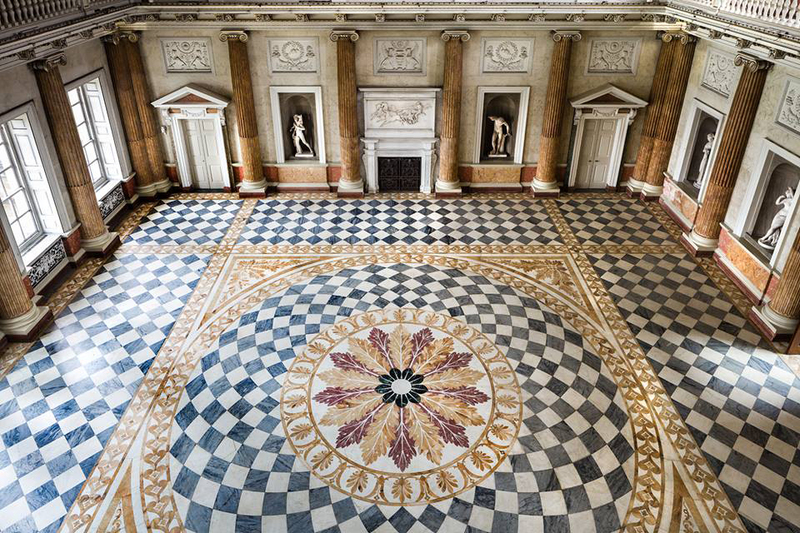 Wentworth Woodhouse is a Grade 1 listed stately home and it has the longest façade of any country house in England. This is the East front façade and overlooks a huge lawned area. It took over four decades to build from c1735. Over the years, the house saw many uses including Military Intelligence, a Women’s College and a Student Campus. In more recent years it was privately owned until 2017. 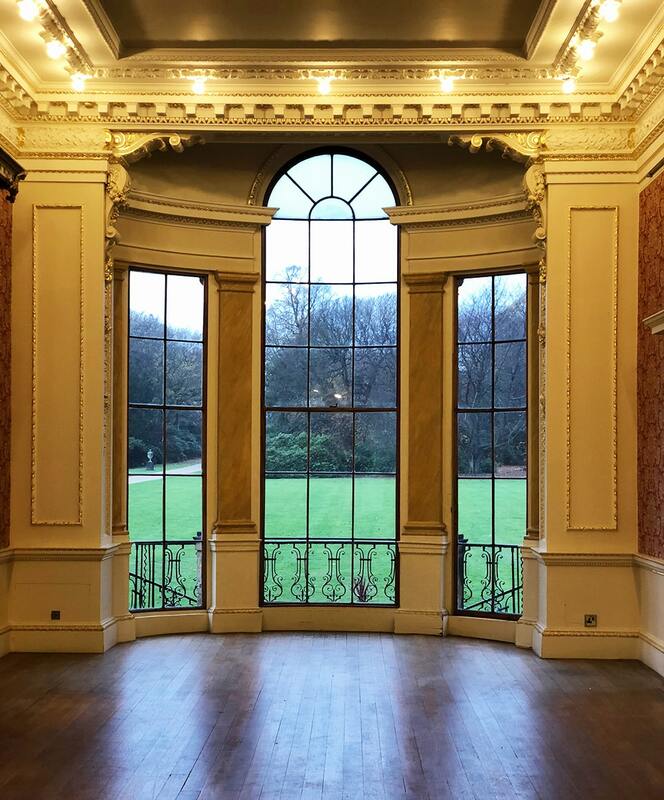 At this point, the house was bought by Wentworth Woodhouse Preservation Trust. The Trust is a registered charity and committed to preserving the house as well as raising funds for maintenance. You may recognise the house from TV – Darkest Hour & Victoria were filmed here amongst other things. 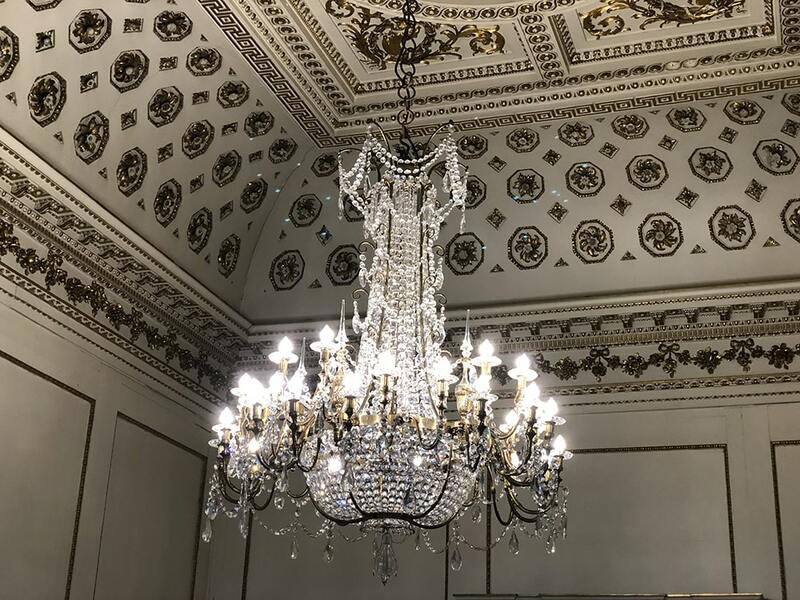 There are a number of rooms which are licenced for civil ceremonies. These rooms offer a variety of styles and sizes so there is sure to be a room to suit you. The bigger rooms can accommodate up to 230 guests seated at tables (and 350 theatre style) so this is a great option for big wedding parties. There are smaller rooms though so you won’t be lost in a big room if you are having a smaller wedding. There is only ever one wedding per day so you are guaranteed exclusivity of the venue. Wentworth Woodhouse isn’t quite dry hire* but it almost is. They do have furniture and a bar area but you need to hire in caterers and bar staff. Due to the building being Grade1 listed, you need to check that your suppliers and ideas are okay for the building. They do take great care to preserve this gorgeous house. *Dry Hire is when you hire the building but you have to supply everything else, such as caterers, furniture & bar service. You can read my blog all about Dry Hire venues here. There’s also a bride’s room where the bride and bridesmaids can get ready. It’s a beautiful room with a roll top bath. It also has a double bed if anyone needs a nap later!! One of my favourite rooms is the Long Gallery. This overlooks the West Gardens which are fabulous. There’s an amazing feature window which opens right up to allow you and your guests to go in and out of the room into the gardens. Perfect for a summer drinks reception. There’s also a grand staircase inside which makes for impressive photos. Each room is special in a different way and you have to visit to really appreciate how amazing this place is. This is a fabulous venue with so much history and character, it’s easy to see why people want to get married here. You can see more about the venue here. I’d love to help if you’re thinking of getting married here! So why not have a look at the wedding services that I offer to see how I can help you with your planning. I work hard to keep my blog fresh so why not join my mailing list and I'll notify you when there's a new blog available.